Kentucky is an interesting state when it comes to Amish. No Amish really located there until the late 1950s. Today, it has the 8th-largest Amish population. Diverse Amish groups are found in Kentucky. On one end of the spectrum are highly conservative Swartzentruber Amish. On the other end are progressive New Order Amish. The settlement near Munfordville in Hart County is the largest in the state, and one of the fastest-growing Amish settlements in America. 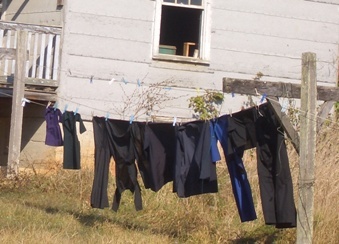 I had a chance to visit a number of Kentucky Amish communities last year. I drew on those visits and other sources to create a new Kentucky Amish state guide entry. I hope you enjoy it. As in other states, Amish have opened a wide range of businesses in Kentucky, including small shops, construction firms, and woodworking operations. Read more about KY Amish woodcraft here: Amish Furniture-Kentucky. Sorry you had to go through through that all weekend. What is funny is I thought it was my computer. After calling my computer repair lady, she told me it wasn’t my computer. Hope you have a better week that you did this weekend. Glad to have this back up and running Erik!! Not sure how you could think it was your computer Marilyn,,, but glad you found out otherwise, LOL. Erik have a great week on your trip, wish I was going!! Where is Erik going on his trip? Hope you have a good time Erik. I will let Erik make that announcement if he chooses to. He might want to keep it a secret until he gets back. And I probably said too much already, LOL. Marilyn, I would not worry too much about you doing something wrong on your computer until you get the dreaded blue screen that says, ‘Fatal Error” then I would worry, LOL. Marilyn, what part of New York are you? I know of a number of different Amish and Mennonite comunities throughout that state? I live in a little town between Rochester and Syracuse in Wayne County. In our county we have Amish in Clyde and Waterloo, but I haven’t been there yet. Also, the next county over in Ontario County some Amish have moved into the town of Gorham or so my Mennonite friend said. My Mennonite friend and her husband live in Gorham. In what area do you know the Amish and Mennonite? I haven’t gotten around much, but I hope to when the snow melts. Thanks for your information about Amish in Kentucky. interesting fairly new community is at Irvington. a beautiful state — especially in spring and fall. Hope to see you here in Ky.! Hi Nelson, I e-mailed you at ameritraveler1963. Hope you got it. I grew up in the southern tier area of NY state near Binghamton, but didn’t realize so many Amish lived around the state. When I was a kid, we used to take a long weekend trip once a year to the Lancaster area every summer. I always thought that was neat. Of course, that area has grown tremendously since I was a kid. I now live in northeast TN. I’ve been to Holmes County, Ohio many times and to the Amish area in Indiana a couple time. Love the Ohio area. Dear Ms. Rowe, I have an uncle that lives in Northeast TN.It’s a very small town called Mountain City,TN.I live in Polk Co.,TN close to NC.It’s about a 5 hour drive one way to see him so I don’t really get to see him that often(long story,kinda personal). I stayed once in Kingsport,TN to visit my uncle.It was the only Holiday Inn Express that would accept my mom’s employee discount since it’s an independently owned hotel from a lot of the others.What I saw of the place was very nice though!We had to travel about either an hour or half an hour to get there to Mountain City,TN.The drive was actually quite beautiful because of the scenery.I guess it seemed so long because I had not seen my uncle in a very long time and I was a little anxious to see him.Does anyone know of any Amish/Mennonites in the western part of NC?As always any help will be greatly appreciated! Al thanks for the on-the-ground info from KY. I had a chance to visit the Hart County auction late last summer, much enjoyed it. Lot of pumpkins! Pigeon Forge / Gatlinburg is about 1-1/2 – 2 hrs from here at Kingsport. It used to be during the summer and at Christmastime, it was wall to wall people there. But, now it seems like there is a crowd there all the time and heavy traffic. Yes, it would be nice for you to have an Amish restaurant near by. There sure are some good one in Ohio! !